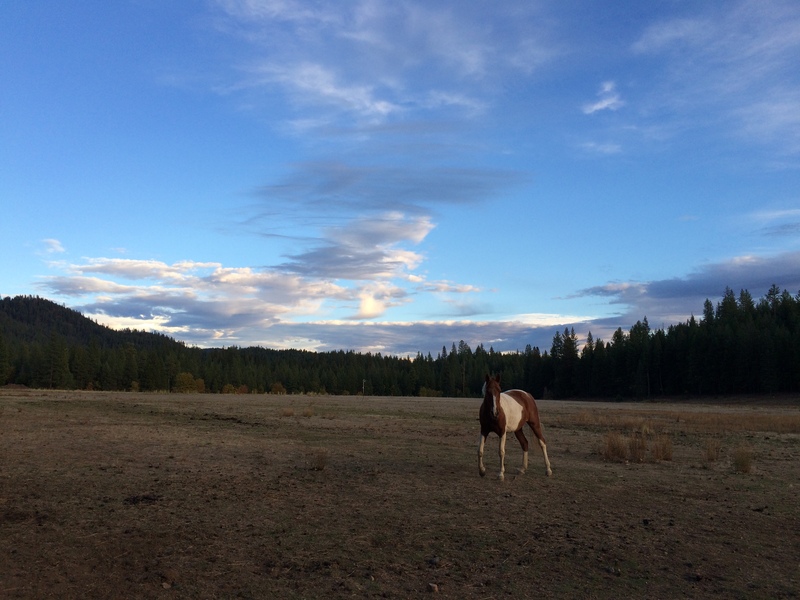 What is included in the Equestrian Program at Coppercreek? 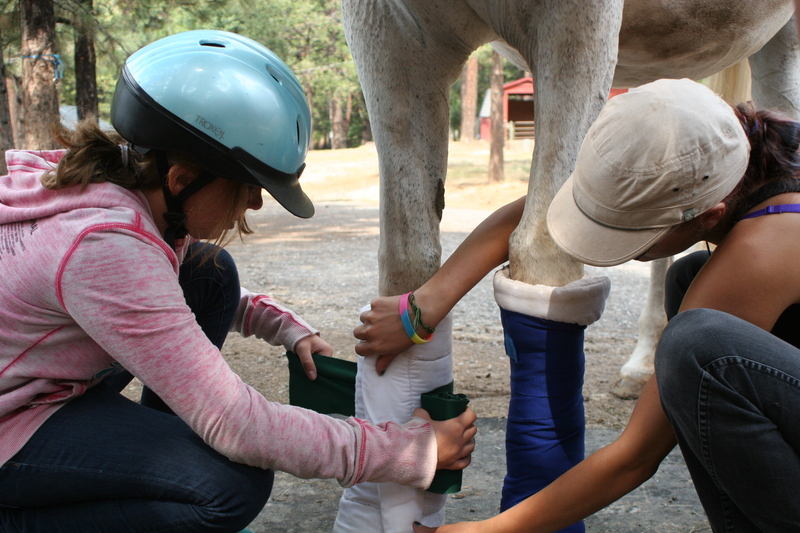 Interested campers can take a one hour lesson each day with other campers of the same ability. 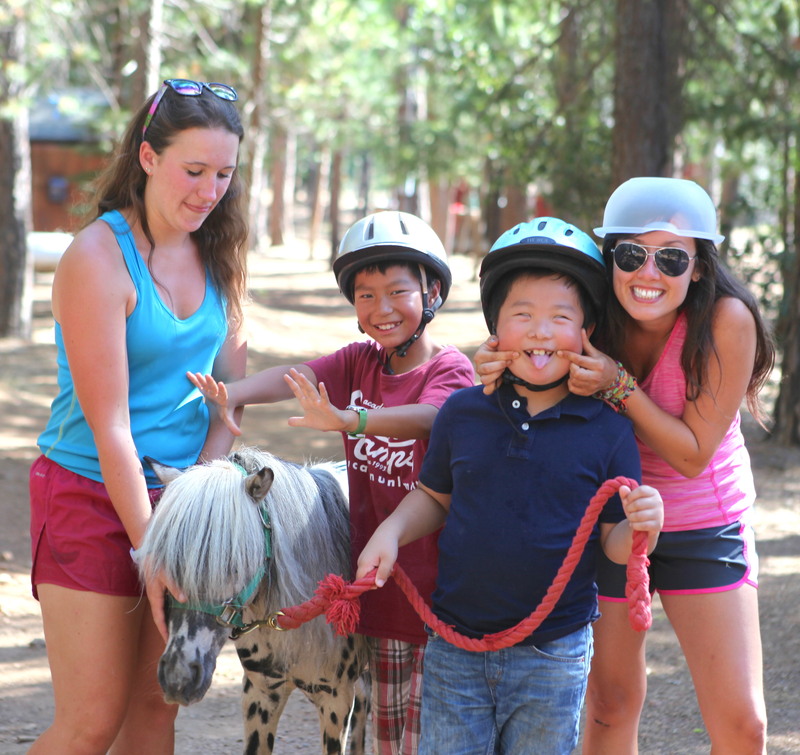 Campers are matched with an appropriate horse and ride 6 days a week. 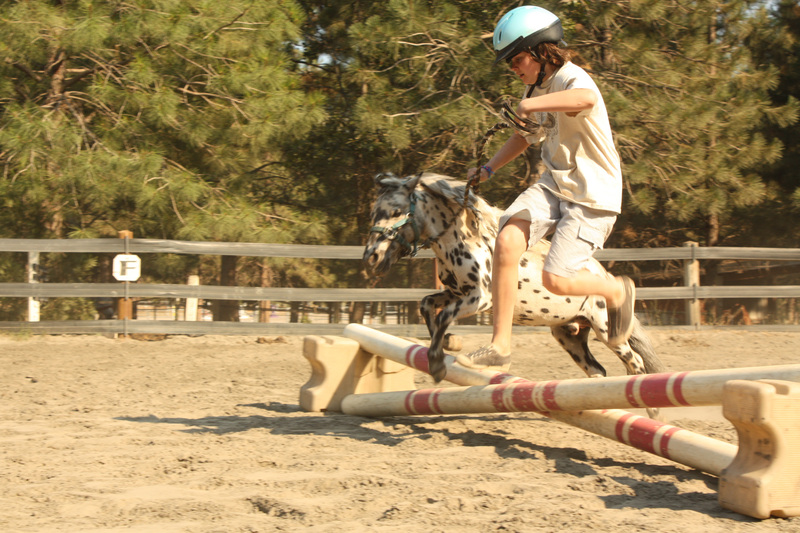 The levels of lessons range from kids who have never touched a horse to kids that are experienced competitors. As Barn Rats, campers help out all morning at the barn. 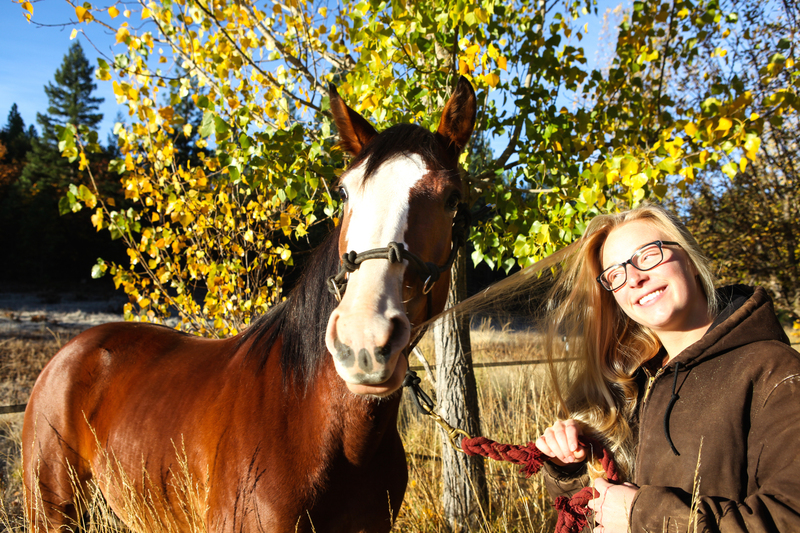 Their duties may include getting horses out and tacked up, assisting instructors in their lessons, grooming, vetting, lunging horses, or even helping beginner riders. 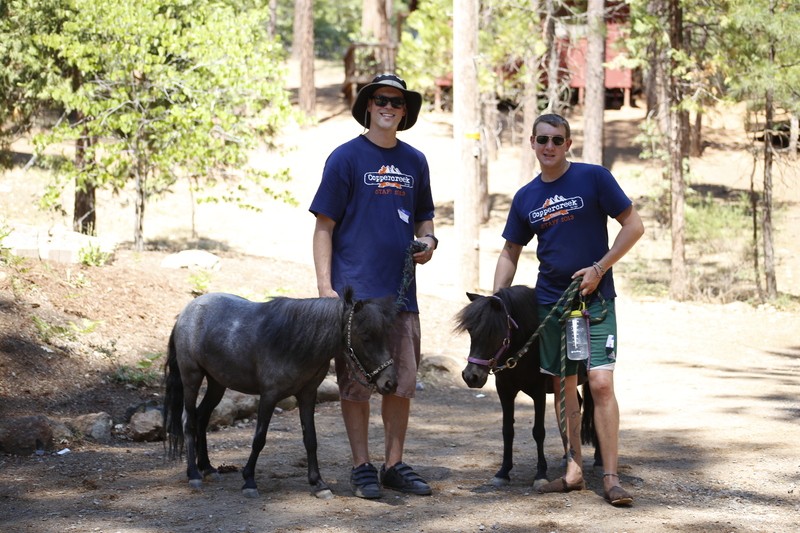 Campers can learn how to drive our miniature horses and take hour long rides around the beautiful camp property. 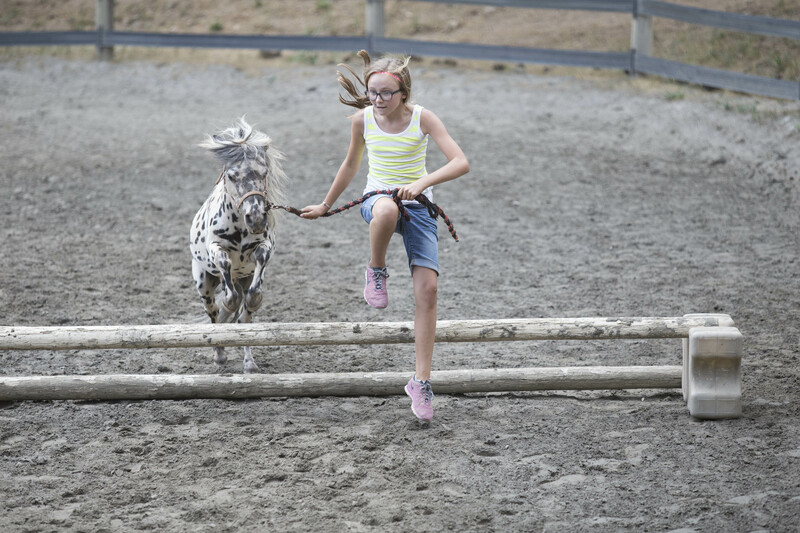 We also just have afternoons of miniature horse fun where campers can take the miniature horses through obstacle courses and over jumps and dazzle them up with braids and bows. 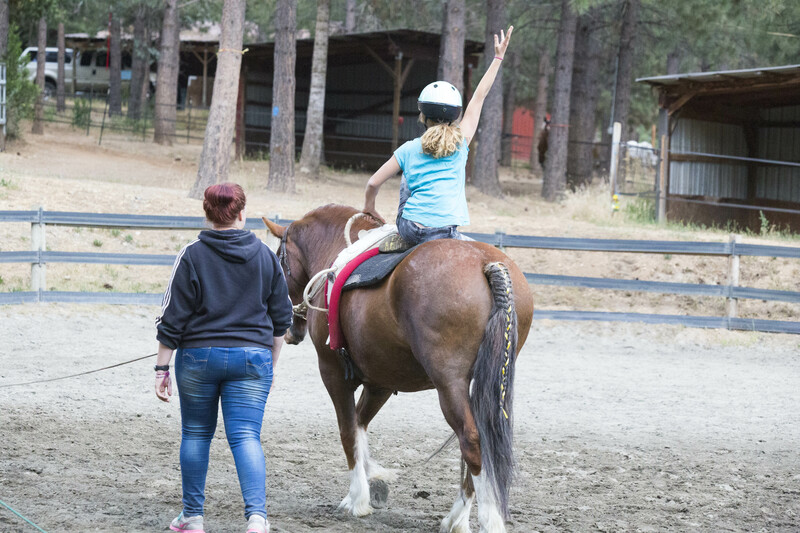 We like to describe vaulting as “gymnastics on horseback.” The campers learn the basic vaulting moves and then get to let our their creativity to create their own moves. During the talent show at the end of the session, the vaulters always give us a fabulous performance to their favorite music on Hatch, our seasoned vaulting horse. 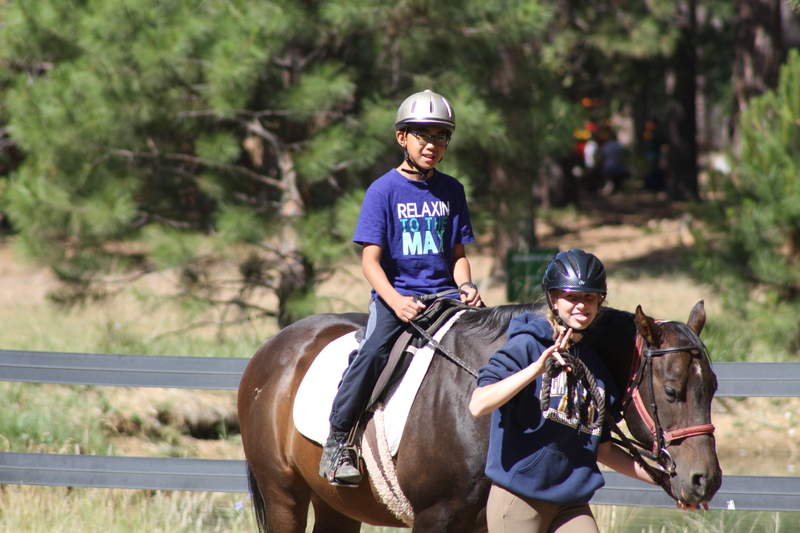 Our campers follow the same CHA certification as our staff to earn their “levels.” Campers work on their levels during their riding lessons and during the afternoons with our riding instructors. There are four levels with many steps in each level. Campers who participate in CHA take home ribbons to represent the levels they accomplished while at Coppercreek. 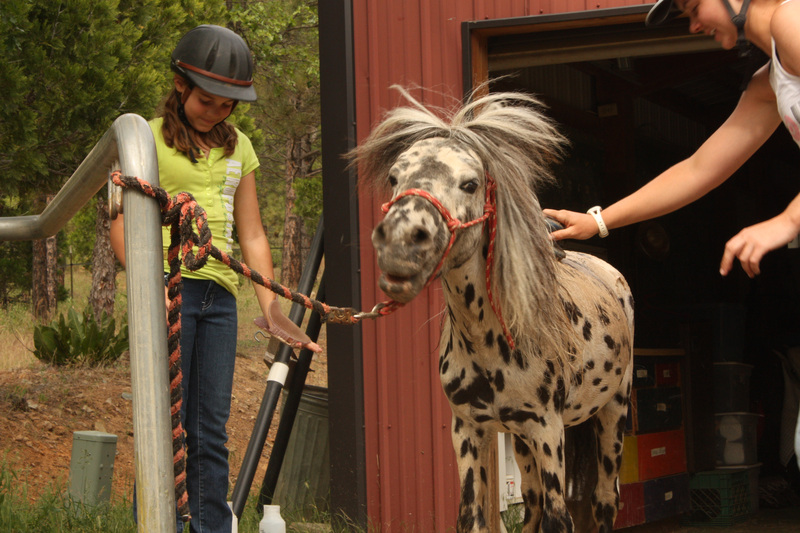 In the afternoons, our riding instructors will put on short clinics to teach campers something new about horses. 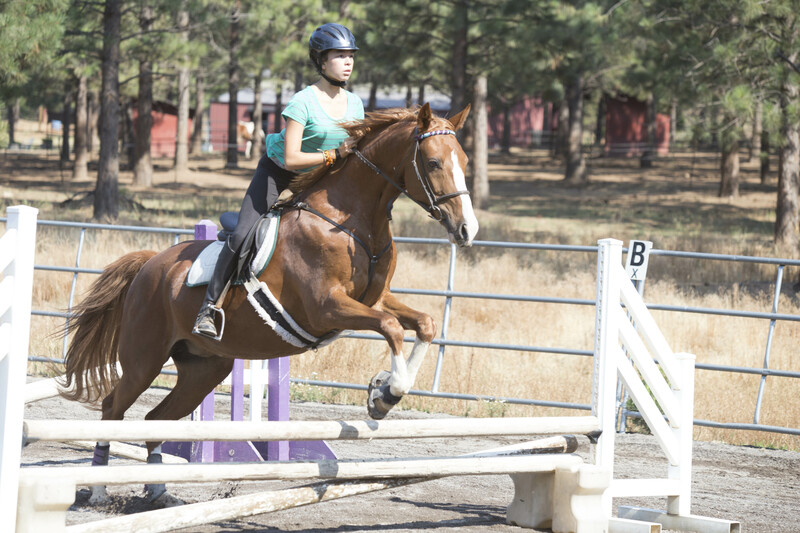 Clinics range from learning the different parts of the horse, to learning “ground work” techniques, to properly setting jump courses and learning horse strides. 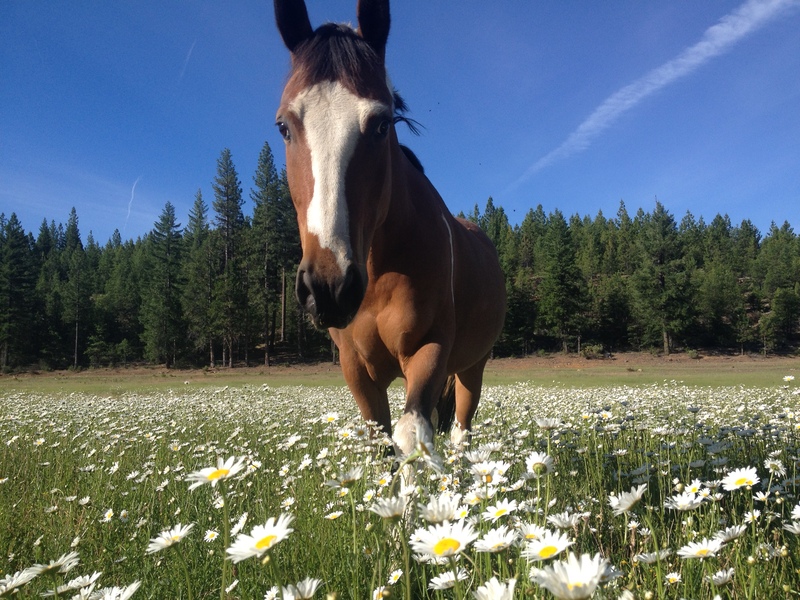 Most importantly, at the heart of our equestrian center, are great horses who amaze us summer after summer. 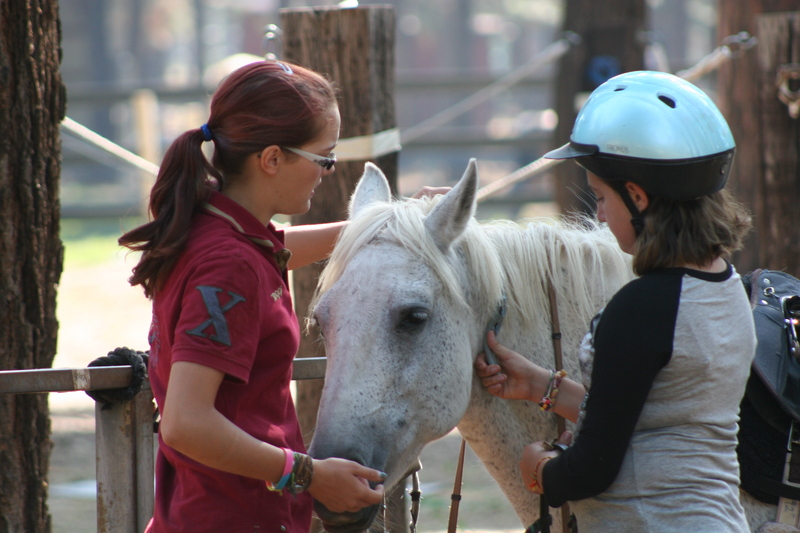 Look on our YouTube channel for a video of our equestrian program. Jiggy tries out Stand Up Paddle Boarding (with a little help from his friends)! 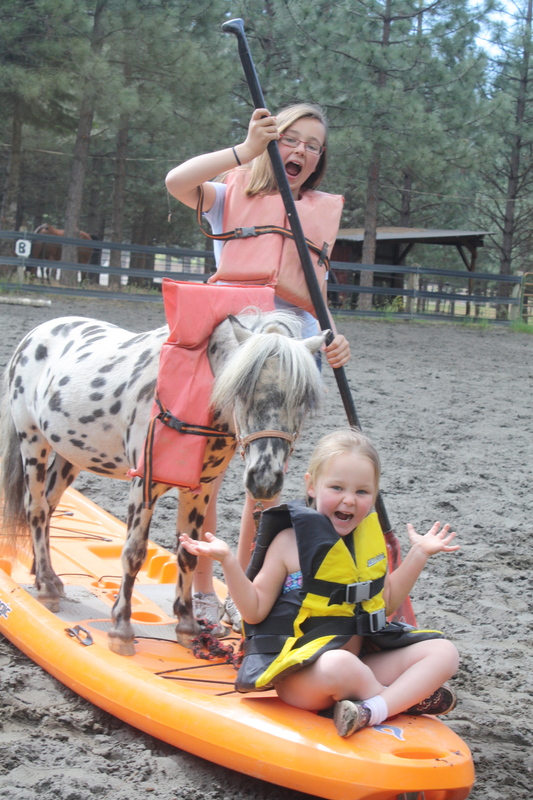 Jiggy, Ryleigh, and Makenna give it a go on dry land first. Since Jiggy is one smart cookie, he suggested to the girls, Ryleigh and Makenna, they try Stand Up Paddle Boarding on dry land. 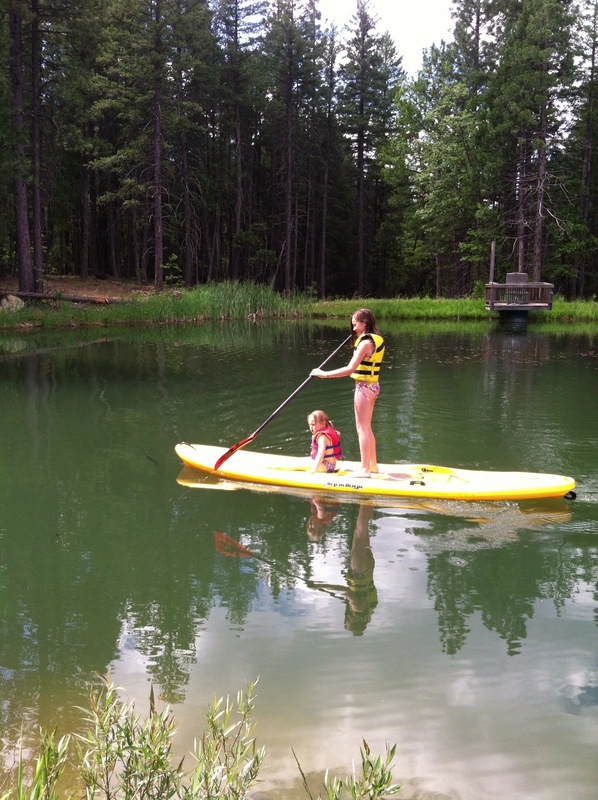 He had to help Ryleigh figure out how to paddle and reminded Makenna to always wear her life jacket. Once Jiggy felt confident the girls were ready, he sent them off to Lynne’s Pond for a wet run. 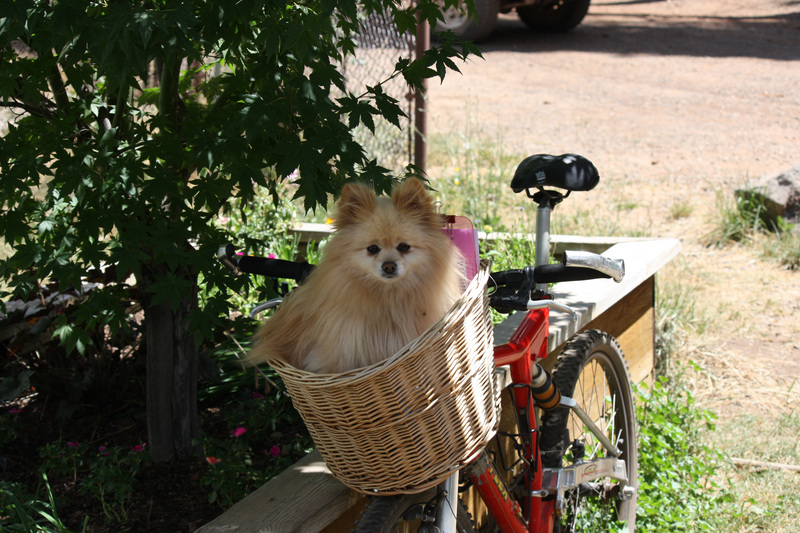 Looks like Jiggy might have to supervise SUP for the summer! The girls had it down in no time. ROSCO: Hey Jigs- So cool of you to spend a minute talking to me. ROSCO: How long have you been at Coppercreek? JIGGY: Ummm…probably about 13 years or so. I was kind of a wild thing when I arrived. Lornie’s Aunt Les picked me up as a rescue near Fresno. I remember they had to build a box in her trailer because they were worried I was going to jump out. Crazy. I am not that stupid but it was pretty funny watching them try to figure out how to get me from the box to Lornie’s trailer on the side of a road. I made them think I might take off but I didn’t in the end- just jumped from one trailer to the next. They backed them together and sort of herded me out like a sheep or something. ROSCO: Wow. What happened next? 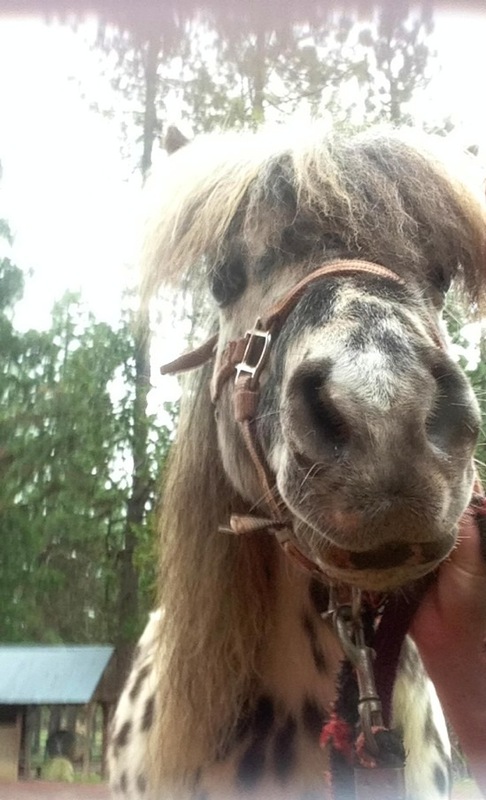 JIGGY: When I arrived at camp, Lornie was a little confused as what to do with me until she got the crazy idea of turning me into a cart horse. The next thing I knew I was put into some serious training. Lots of handling, lunging, they would wag scary stuff at me to make me not afraid. Excuse me? What is it about flapping bags in horse’s faces that makes people think we won’t be afraid anymore? They finally realized I wasn’t afraid to begin with. Hello? It is just a plastic bag. ROSCO: How did you get your name? JIGGY: Thankfully, Coppercreek had this great dance instructor named Jon who made all the staff learn a dance to Will Smith’s “Gettin Jiggy With It” during staff week. Lornie decided the name Jiggy fit me because of all my wild spots. Sure beats a lame name like “Spot” or “Dot”. Now my whole family is called something from Will Smith. I have my lady, “Jada” and my two kids, Willow and “Wicked Wild Wild West”, but we just call him JJ. ROSCO: Tell me more about this cart business. All I know is I like to bark at the wheels when you go trotting by. 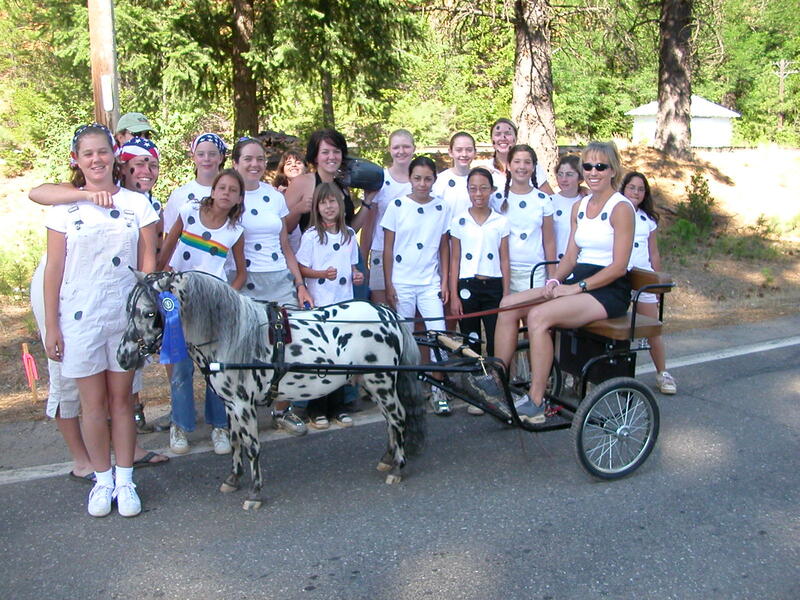 JIGGY: After I was driven all over camp and in a few parades, Lornie decided I needed to show, so off we went. 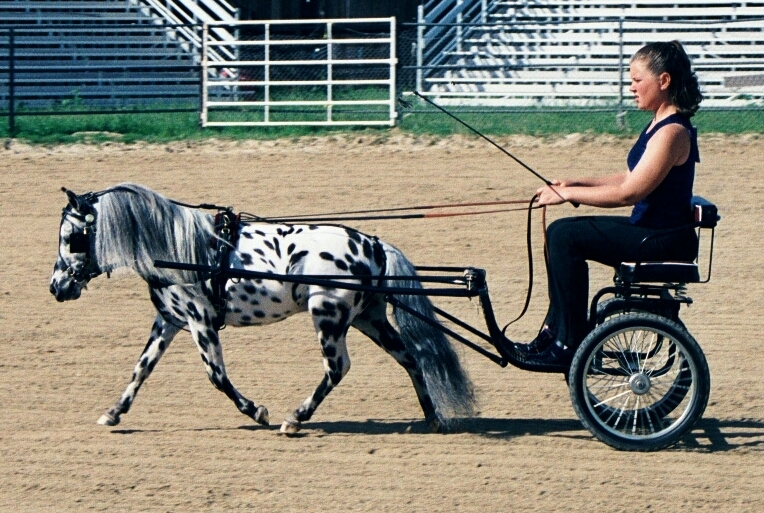 I hit the American Miniature Horse Association show circuits and did pretty well. I think people were a bit amused at seeing this crazy looking thing in classes when really the rage, at the time, was bay horses. I got this following though and every time I entered the show arena, all these fans would scream and clap. I must admit, it was kind of fun. And man, there were some nice looking mares at these shows, all dolled up and looking pretty. I was a bit alarmed at some of the other guys and how they behaved towards these gals. I mean, come on, you have to always remember to be a gentleman. Besides, when I behave, Lornie gives me Honey Nut Pretzels. ROSCO: So what do you do at camp? 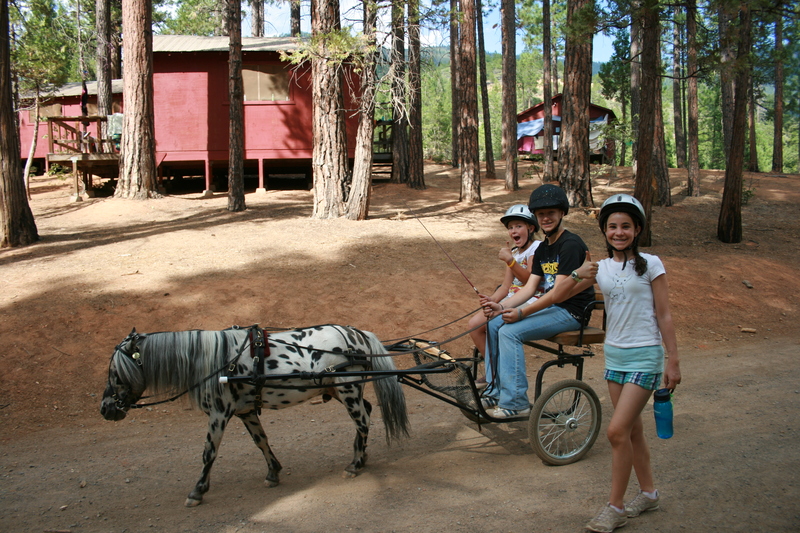 JIGGY: I am in charge of taking campers around the trails in the cart. Beauty, that cute little black mare, helps me. It’s pretty fun. Sometimes I get a bit confused when the campers don’t watch where they are going. Fortunately, I have had my driver’s license for a long time now and make sure we avoid trees and stumps. ROSCO: What is your favorite part of camp? A little song about Jiggy. 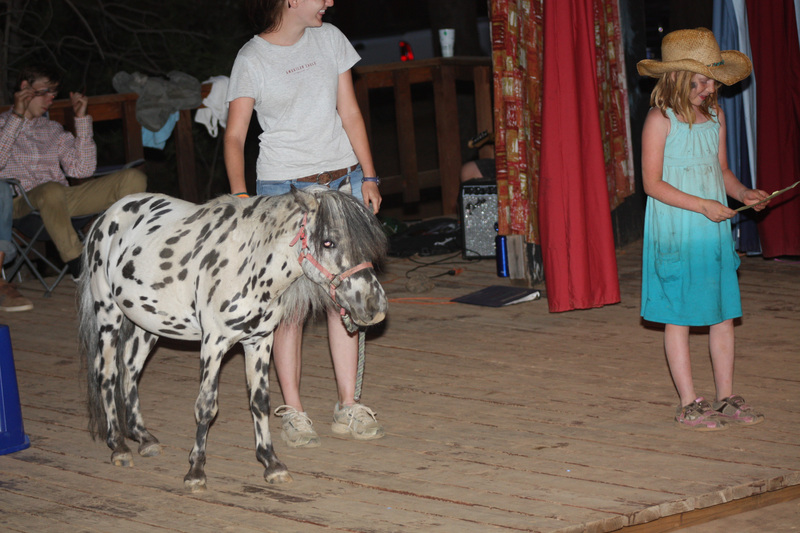 JIGGY: I love it when I get to go up on stage at Campfire or attend a dance in costume. I secretly hope I will get discovered because my dream is to star in a movie some day. ROSCO: Oh hey- I gotta run. Craig is on the move and my job is to follow him every where!